An app to grow your is not too much to ask for! 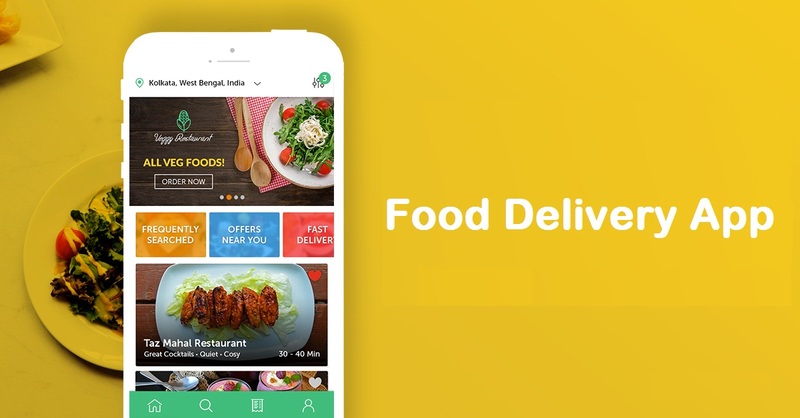 Eventually, several industries and businesses have targeted to the app technology so that they can meet their distinctive demands, and undeniably one app arena which has gathered the maximum attention is a food delivery app. There is a large number of food delivery startups growing in a small period of time and are aiming to take an impactful step in the food delivery startup industry via app technology. As it is evident that this is an age of app solution for every business and everyone out there are looking for an app to grow their business in the market. Online food delivery app knocks out many problems that are faced by old traditional call-in-orders. This leads to the miscommunication and there are many chances that you can get a wrong order. It has decreased the rate of misunderstandings, easy to use, you can order your food from anywhere anytime. The cost-effectiveness has also been a major factor for the increased scale of this app. The very first concerned thing which comes in mind when we talk about on-demand mobile apps is a convenience, quality and the course of services. The services you can be incredible with, but it is not that possible if the resources linking to the service quality is impeccable. Now it is not a surprising thing to see a GPS in any smartphone, this has become a very essential as well as common feature, so this enables the GPS tracking facility for every user. Although, with the integration of GPS with the on-demand food delivery app comes with the inevitable feature where the user can track the status of food when the hunger strikes at its peak. With real-time GPS tracking your food tracking is just few taps away. Considering, food delivery can never be limited to only location only, instead it needs to cover every possible street, park, hospital or anything else, thus including the location tracking feature is a must, which let the customer as well as the delivery executive to easily locate each other in the different situation. This not only brings transparency but also leads to the perfection of the app. However, this facet is the initial step of a successful app, since a logical app design can only be chosen with the help of a leading mobile app development company. The app design which is clean and has a perceptive user interface (UI), ultimately grabs the attention of the user and motivated them to use the app and explore it to the fullest. It is not acceptable if your app has a clustered UI and it takes time in loading, then it takes your app to nowhere. This leads you to a downfall because 60% of users make their mind to abandon the app if consumes time while loading and 40% have already abandoned it. Thus it is a matter of concern for your app’s UI design in order to make it successful. AI technology has already garnered a massive user base due to its seamless offerings in a business domain. The deal and promotions draining out, based on user’s age, gender, location, time of the day and order history, really changes the game of the deals and promotions. The application featuring AI can help you in winning this battle, where users can accurately predict these data. With including relevant deals and coupons, you enable user to get the value from your app, wherein they can save money and triggers the part of users to come back on the very same platform due to different value offers, coupons, reward points, seasonal offers, these are the major factors that give all the possible reasons to the users to return back on the same app. For any service-bound business payment is indeed an integral part of it and getting it done from the user’s point of view hassle-free, is a task, that needs to be answered well. If your complete app is working logically and smoothly but the user is facing issues in payment methods they this can clearly result as a reason for the downfall of your app. A hurdle encountered at the time of payment can lead to the uninstallation of your app in no time. Sometimes, many apps only integrate the COD options but users can also feel convenient from paying through credit/debit cards, thus you need to ensure that you integrate highly efficient payment methods. Payment gateways such as PayPal, Google Pay, Amazon Pay, Credit Card, Debit Card, Online Banking, Cash On Delivery options. But here also you need to have a detailed research study on which method suits best as per users. Many times, we get stuck in situations where we forget that we have to order food. So this is the feature that can solve this issue of forgetting to order the meal. Here you can order a scheduling facility where the user can schedule the time of order in advance. The user can book the meal in one week advance, this works well where users are quite busy and don’t have time to keep checking on the food item and the time to order it. By integrating these relevant points, this is going to act as a fabric for the growth and development of your app. Then without fail, you can make your food delivery app successful.